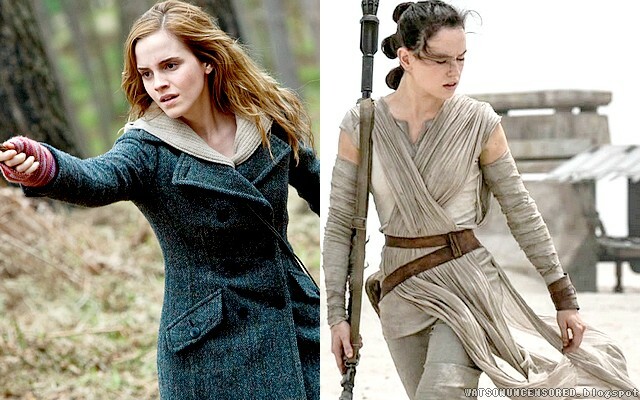 Emma Watson Updates: Daisy Ridley: "Emma Watson was so sweet"
Once upon a time, Daisy Ridley spent a Christmas working at a shopping mall, playing an elf. When she was upgraded - to a Princess! - she was over the moon. So imagine what she felt when she landed one of the top roles in the new Star Wars film, The Force Awakens. The 23-year-old London-born actress has pulled pints in pubs, worked in retail, appeared (hanging upside down) in a short film, travelled to Australia and New Zealand, and seems (apart from the upside-down film) to have both feet firmly planted on the ground. And she’s determined that the fantasy adventure epic that opens here on December 17 won’t change things. To that end, Daisy said she’d received some helpful advice on how to stay real from an unexpected source. Emma Watson. The pair went for a drink and some tortillas in Covent Garden recently, and Daisy asked Emma - who was just 11 when she was hurled into the public orbit when she made the first Harry Potter film - what to expect, and how to deal with it. ‘I asked her some stuff that I hadn’t been able to ask Harrison (Ford) and Carrie (Fisher),’ Daisy told me. ‘She said: “Be yourself!”’ We were out in Covent Garden, and it was so chill — and she was so sweet!’ Daisy said, of their meeting last month.